Rice pudding really is the epitome of my childhood festive season. It is usually full of dairy though and made from white rice which many people are trying to avoid. Here I give you a choice between the white rice of most of our childhoods and black rice. 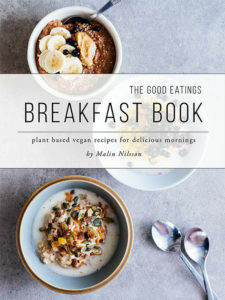 I also completely veganise this yummy dish cutting out all dairy. If you are cutting down on simple carbs, which I completely support as they spike blood sugar and give us uneven energy levels throughout the day, you should go for the black rice option in this recipe. Personally I love both the options and for my nostalgic periods I would go for the white rice but on any other day I would choose the black rice option. Completely up to taste and health choices though. 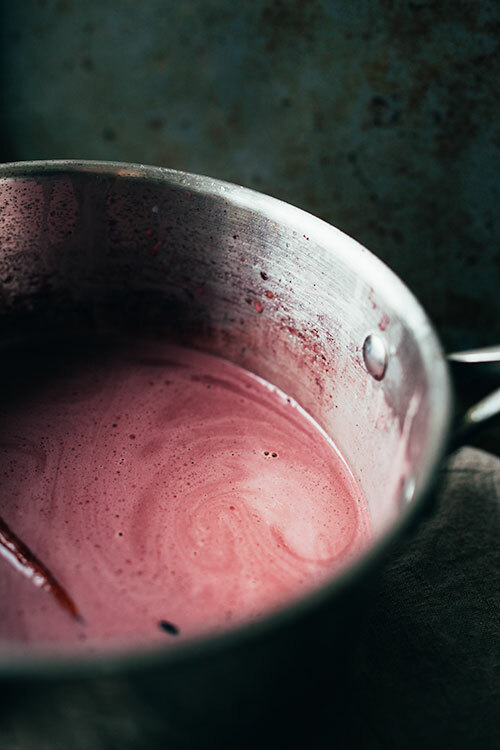 The black rice pudding, or rice porridge as we would say in Swedish, takes a little longer to prepare due to the grain being a lot more sturdy than the white pudding rice. 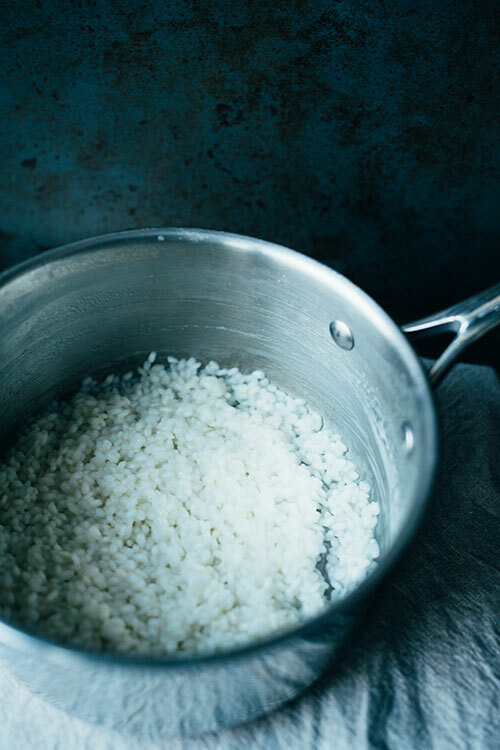 You can however soak the rice over night and then add only half as much water in the first step of the cooking process. It will cut the cooking time by almost half as well. I’ll write more specific instructions below as usual but if you are making black rice pudding I would really recommend soaking (for at least 8 hours). In both versions I instead of using butter and cow’s milk add a little bit of coconut oil as well as a whole can of coconut milk. I like coconut milk for this dish because it is slightly sweet and quite rich and creamy giving the pudding a lovely texture and flavour. Another note is to sweeten the pudding as you see fit. I like my pudding quite neutral, meaning only a little sweet, but give it a taste as you go and add your sweetener of choice if needed. 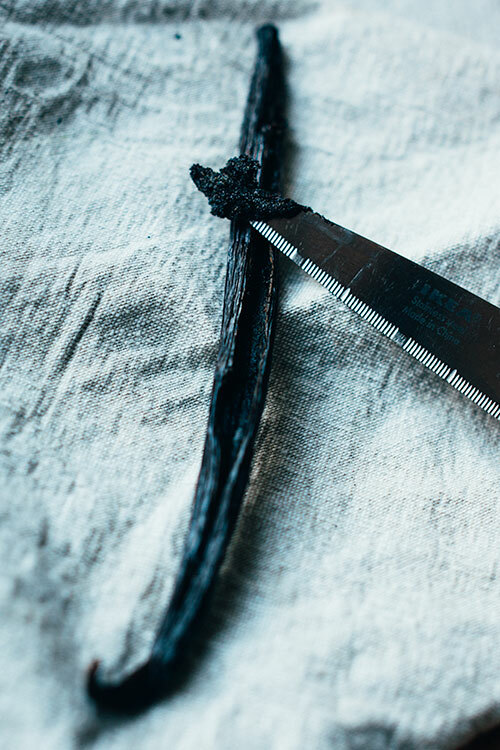 If making a soaked black rice version, rinse and cover black rice with water over night or at least 8 hours. Then drain and rinse. Place oil (not for black rice), rice, water and salt in pan and bring to a boil and then reduce to a simmer for roughly 8-10 min for pudding rice or 10-15 for black. Black rice – add coconut milk, cinnamon stick and seeds from vanilla pod as well as pod. Cover with lid, bring to a boil and then reduce to low heat and simmer for about 45 min (only2 20-25 min if soaked) or until liquid is almost gone. Stir from time to time, especially the last 10 min. 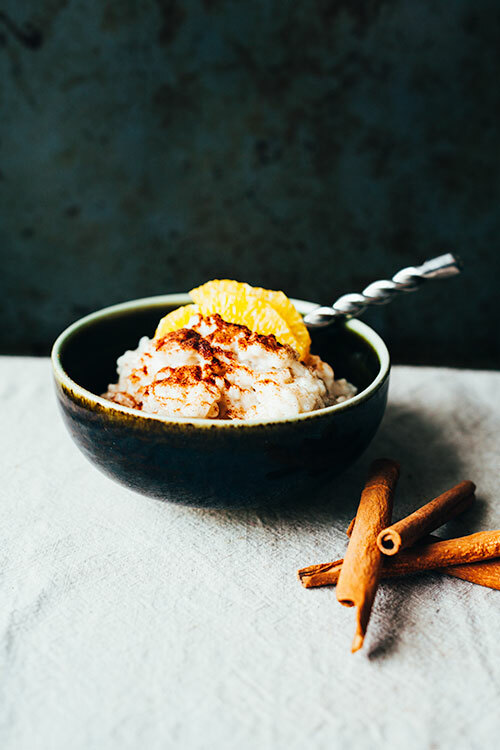 Pudding rice – add coconut milk, cinnamon stick, seeds from vanilla pod and pod. Let boil and reduce to a simmer for about 25-30 min. Stir often. Add coconut sugar/sweetener right towards the end. 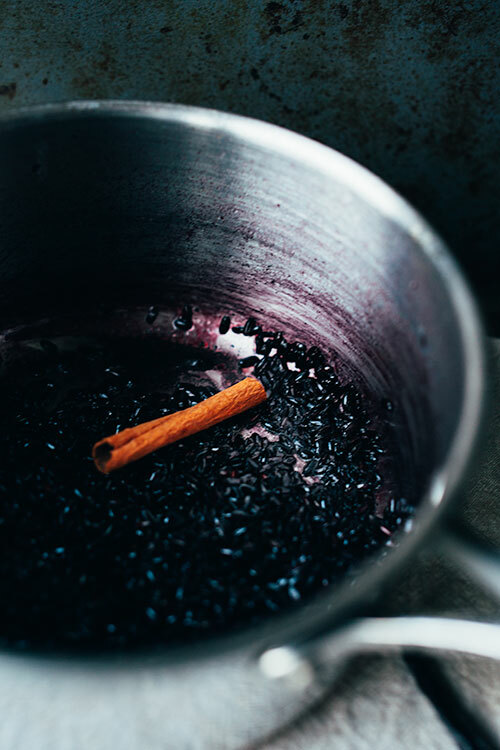 When most of the liquid is absorbed and a sticky texture is reached (if this has not happened after the time allocated and rice is getting dry – add a little water at a time until desired texture is reached) remove from hob and discard the cinnamon stick and vanilla pod before serving. 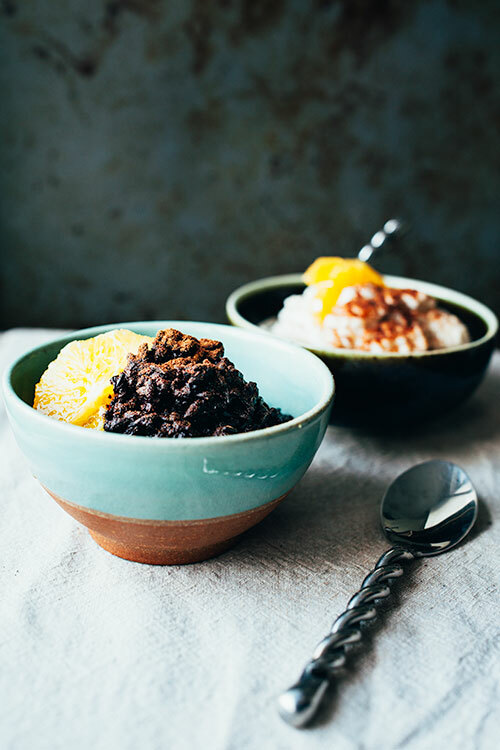 The texture of the black rice pudding will be more chewy and less ‘gooey’ in comparison to the pudding rice version. I made this rice pudding tonight and it was just delicious! !